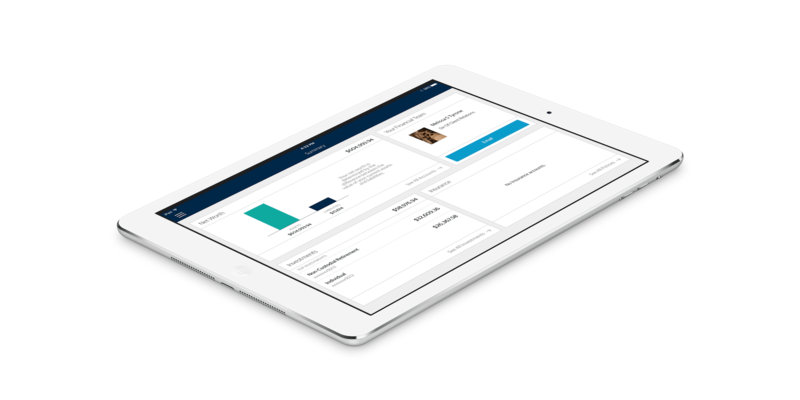 All your financial information, in one convenient place. 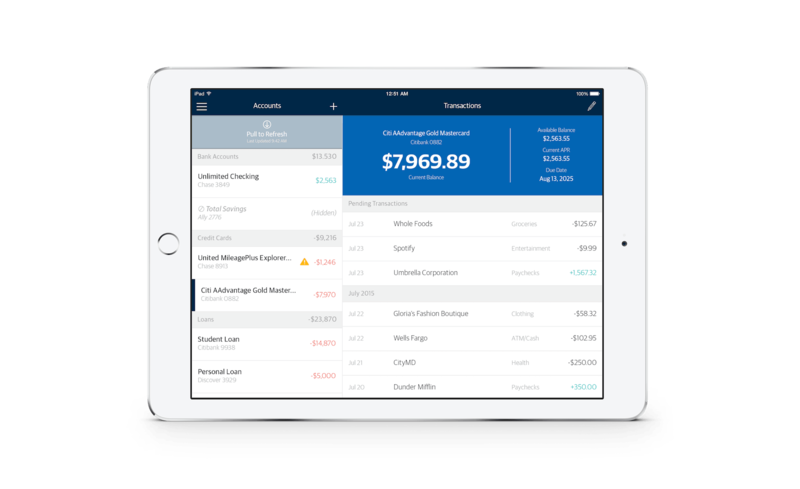 Northwestern Mutual, an American financial services organization, acquired LearnVest, a leading personal wealth management software company in 2015. As part of this acquisition, LearnVest committed to building Northwestern’s first mobile application. 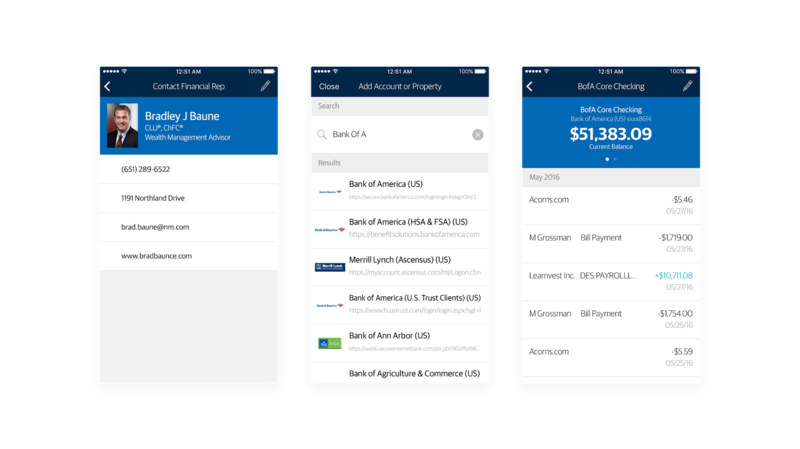 With internal resources already utilized on their own app, LearnVest’s CTO enlisted the help of Hydric to build native iOS and Android applications. Working within sensitive time constraints, Hydric began constructing the iOS application while the LearnVest team was still building the APIs necessary to power the app. Acknowledging the need for LearnVest to be supported in this process, Hydric applied its solution architecture expertise to guide both parties through the process of creating RESTful APIs. Hydric’s hybrid-Agile project management framework encouraged high levels of accountability on all sides, facilitated regular incorporation of feedback, and yielded brief user acceptance testing rounds. Working towards an even tighter deadline than iOS, completing the Android application required three full-time Hydric developers to work concurrently and in collaboration with the client's own team. To facilitate this, Hydric created a custom set of development guidelines for the programmers to adhere to, which not only ensured consistency and efficiency during the project but allowed LearnVest’s rapidly growing Android team to ramp up quickly post-delivery. This productive, collaborative partnership led to on-time, on-budget delivery of two mission-critical applications, and five-star ratings in the Apple App Store and Google Play Store within just a few days of the release of each app. The LearnVest team now manages both apps, and Hydric continues to provide them with consultancy on emerging technologies. The Hydric team was quick to understand all the intricacies of the project, and they were quick to start executing against our goals. It’s been a great working relationship as we broke down the design and development work into something easy to monitor and refine. Working with Hydric was the best vendor engagement I’ve ever experienced. The delivery date we set for Hydric was tight, and a hard requirement. Their workflow style ensured that we were able to review the app early and often to provide feedback for rapid inclusion.